every point of interaction with every customer and stakeholder, and where the focus of branding shifts from products to the company behind the product. Fresh and fascinating with a host of in–depth best practice case studies. 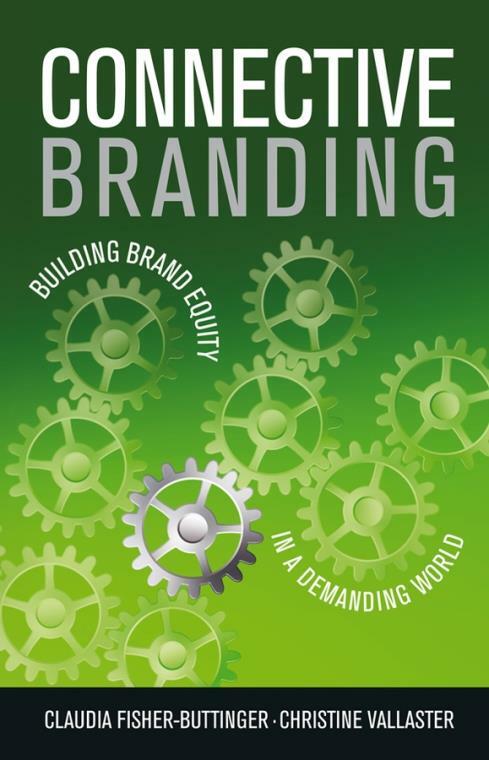 A must–read for every brand strategist, Connective Branding demonstrates how to accomplish the twin brand imperatives of brand engagement and brand alignment . Connective Branding presents a much broader view than traditional association–based branding. Presenting a brand as a set of values that must radiate outward to all stakeholders offers managers superb opportunities for enriching their brands. I highly recommend this original book . The foundations for brand building are changing radically. All the stakeholders of the brand are connected at a global scale expecting brands to engage in a responsible, transparent and customized dialogue with each of them. In this exciting book, Fisher and Vallaster take the reader through a compelling journey of how brands transform themselves in this new reality without loosing sense of who they are . I would challenge any marketer to read this review of managing Brands in the 21st Century and not change the way they approach brand building. Connective Branding does not claim to have all the answers (thank goodness I hate being patronised) but it will certainly get you musing on how best to improve your brand strategy. If you are challenged by the principles raised here what better way than that to leave that comfort zone of always doing the same old thing? Brand Management is Dead ... Long Live Brand Management ! The days when branding was a function somewhere in the marketing department are over. Connective Branding explains in a systematic way the current and future challenges of branding with a broad and thoroughly researched spectrum of real life examples. After reading this book, you will not look at your brand the same way as you did before . It s refreshing to see the long–standing pillars of conventional branding tumble in Fisher and Vallaster s text. In Connective Branding we consider the new rules for engaging stakeholders in the brand and for aligning brand promise with actual brand experience . Rob BonDurant, Vice President of Marketing and Communications, Patagonia, Inc.
Today s great companies understand that their success depends on nurturing a living brand that embodies company values at every level and through every interaction. Sound tough? It is. But Connective Branding will show you how essential it is for survival today, and how to successfully implement a living, strong brand in your organization . PART I SETTING THE STAGE. 2 EMERGING STRATEGIES TO ADDRESS MARKET FORCES. PART II A FRAMEWORK FOR COPING. 3 BRAND FRAMEWORK FOR BUILDING CONNECTIVE BRANDS. PART III CRITICAL SUCCESS FACTORS FOR MAKING IT HAPPEN. 4 PRACTICAL APPLICATIONS STAKEHOLDER ENGAGEMENT. 5 PRACTICAL APPLICATIONS THE PROCESS OF ALIGNMENT. EPILOGUE THE LAW OF THE SEVENTH GENERATION?